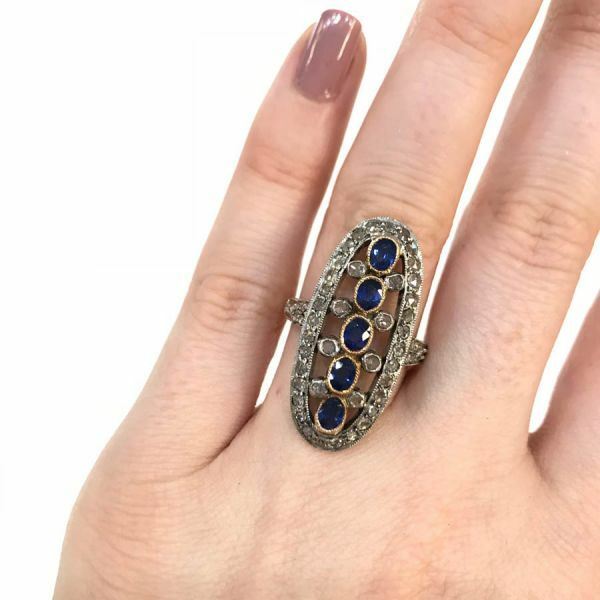 A beautiful Edwardian inspired 18kt yellow gold with silver top mill grain ring, featuring 5 oval facetted cut medium powdery blue sapphires, est. 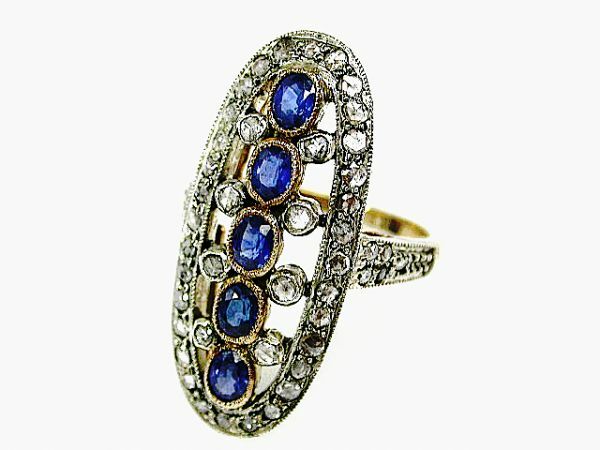 1.31ct and 42 rose cut diamonds,est. 0.45ct (clarity:SI-I1 & I-J colour).